Our free GCSE/A Level Magna Carta lesson plans (including videos) are now available. They will soon be available in multiple languages, and we are working on tailored U.S. teaching materials. Subjects covered include History, Citizenship, and Politics. What is Magna Carta? Why was it created? And how important is it today? If you're at school or university and interested in learning more about "the most important document in world history," check out our handy student guides! We will soon be offering free day-long seminars on Magna Carta to UK secondary schools. These seminars will feature experts from the Adam Smith Institute and explore topics related to Magna Carta in economics, law, history, and citizenship. 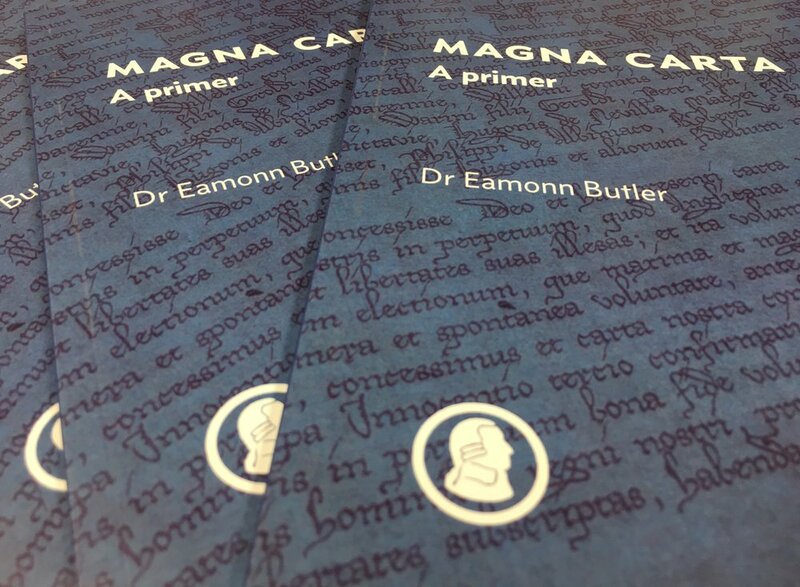 Free digital copies of Dr. Eamonn Butler's Magna Carta: A Primer—a concise but detailed guide to Magna Carta—are available to download from this website! Click below to access your free download and learn about the Great Charter.